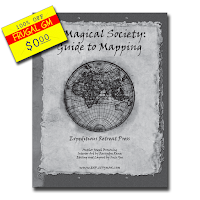 The week's Free GM Resource is an interesting Guide to Mapping (or more specifically "A Magical Society: Guide to Mapping") from Expeditious Retreat Press. This free guide is 37 pages, with 29 pages of pertinent content. What I liked about this resource is that it covers the "high level stuff" that I think most GMs would overlook when designing their game world. This guide ISN'T about how to map, but more about these "big picture" factors that should/would influence the world as a whole. 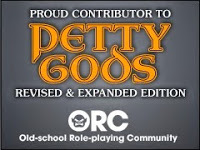 You can download the guide by clicking on the lead-in graphic or by using this link at DTRPG.